January 24, 2018 – AKS Cutting Systems, Cleveland, OH, Fahey Machinery, AKS Pacific Northwest Dealer, and Trent Steel, Fresno, CA, hosted an Open House today at the Trent Steel facility in Fresno, CA. 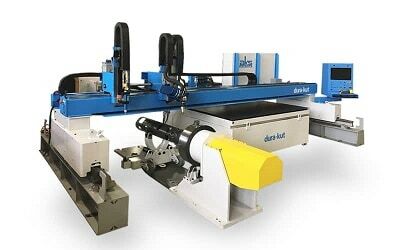 Trent Steel is affiliated with its’ sister company, and same owner, AB Welding, both based in Fresno. 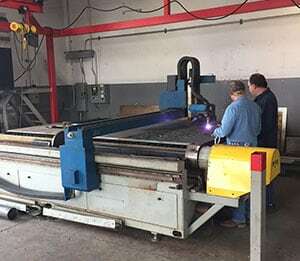 Trent Steel is a leading regional metals job shop in Central California who specializes in metal fabricating services including design, engineering, cutting, rolling, welding and assembly. 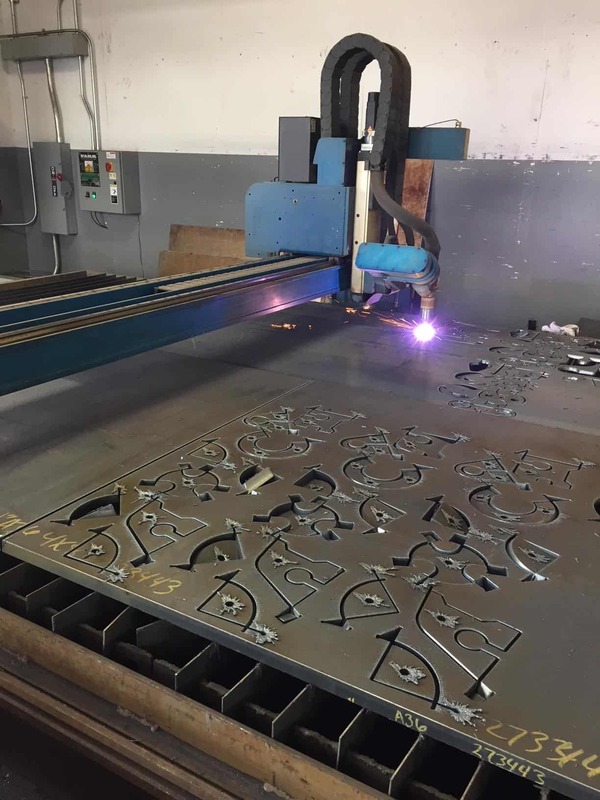 Trent Steel is a fully integrated fabricator with over 30,000 sq ft of production area with specialization in heavy components up to assembly from light gauge up to 3” thick mild steel, stainless steel and aluminum. The Open House was hosted by the company’s principal owners, Gus Benson and his sons Auggie and Trent, together with AKS Cutting Systems Sales Representatives, Mike Burns, Director of Sales & Marketing, and Miles Mooneyham, West Coast Regional Sales Manager, AKS Service Technician, Scott Krankowski, and Fahey Machinery Salesman, Rob Moulyn. The Open House started at and offered local catering for lunch for all attendees and ended around 3:00pm. 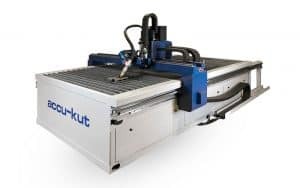 AKS, Fahey Machinery and Trent Steel were proud to announce the Open House drew over 40 attendees and resulted in two orders for new AKS Cutting Systems plasma cutting machines for new customers in the central California region. 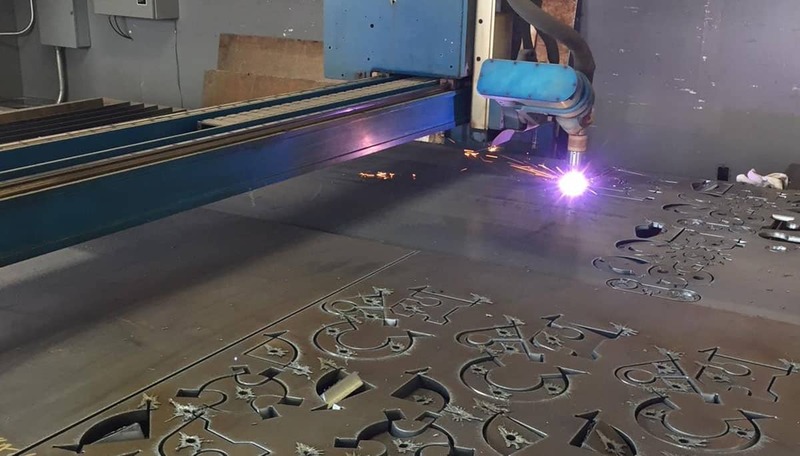 Plus, we had a successful marketing and networking event to help our customers learn about available cutting technologies like Hy-Definition Plamsa Cutting, Ultra High Pressure 90,000 psi Waterjet Cutting and Hy-Intensity Fiber Laser Cutting. 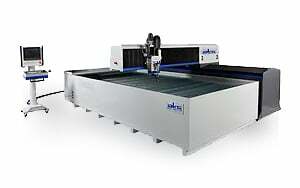 Exhibiting our AKS Cutting Systems models for “accu-kut”, water-kut” and “fiber-kut” produced great results and an enjoyable day. 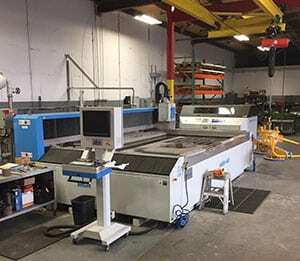 Many thanks to our hosts, Trent Steel and its employees, and our attendees and customers for their time and interest in our AKS Cutting Systems products and services.